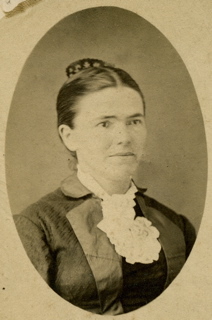 Sylvia's marriage to Emory is said to be on 25 Feb 1876 according to her obituary. [S20] Taylor Family Records ["Taylor Book"], J. Montgomery Seaver, assisted by Mildred E. Shumaker, (American Historical-Genealogical Society, Philadelphia (1929)), Page 52. [S25] The Kelloggs of the Old World and The New, Timothy Hopkins, (Sunset Press and Photo Engraving Co. San Francisco, 1903), Page 1581. [S24] Paper in Family Bible dated 1846. [S15] Photograph, Taken by Edwin L Taylor cir 1950. [S21] Family History, Ten Generations from 1600s, Betty T. Ross. [S22] Family Bible dated 1846.